UPDATED, 11:30 AM PDT: Valve also clarified that consumers can preorder Steam Machines through Steam itself, not just GameStop. Also, other OEMs will have their own dedicated preorder plans through other channels. November 10, 2015: May it forever be known as “Steam Day”—the day Valve will officially unleash its suite of Steam Machines, Steam Link, SteamOS, and the Steam Controller. Sure, it’s almost exactly a year later than anticipated, but…well, if you want one, this is when you can get one. Officially. “Unofficially,” you can get a Steam Machine and Steam Controller as early as October 16, provided you’re in the market for Alienware’s model. Preordering through GameStop ensures you’ll receive Alienware’s Steam Machine (which Valve previously referred to as “a console that encapsulates the full potential of what a Steam Machine should be”) almost a month early. 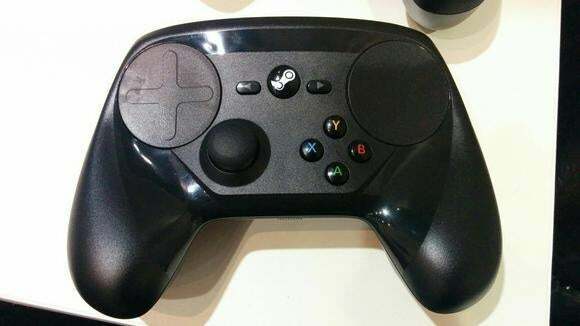 The Steam Controller at GDC 2015. A few points of note: The baseline Alienware Steam Machine will cost $450—a hundred dollars less than the similarly spec’d Alienware Alpha last year, and not too far out of line with typical console costs. We can chalk some of that up to the lack of a Windows license, surely. 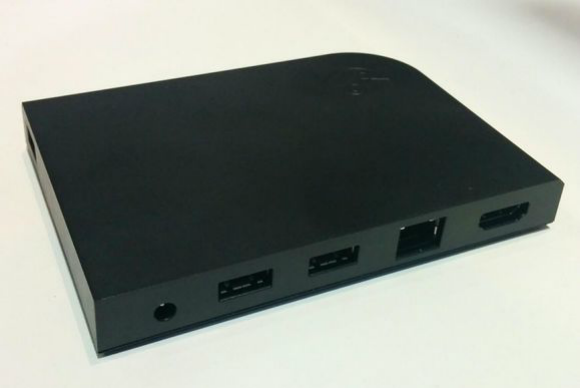 Becausee SteamOS is free, that knocks a hefty chunk off the cost. Alienware confirmed there will be no dual-boot option for its Steam Machine, though you can set it up yourself if you’d like. On the high end is a $750 version with an i7 4765T QC, 8GB of RAM, and a 1TB drive. How are those specs? Well, competent. Again, we hit the same problem we’ve already discussed to death with some of these smaller Steam Machines—proprietary parts means a lack of upgradeability, means your Steam Machine will not have the same life cycle as a true console. Consoles typically have a ten-year lifespan nowadays. Will you be playing games on your Alienware Steam Machine in ten years? Streaming, maybe. Natively? Absolutely not. Of course, there are other Steam Machines that are more upgradeable, like Origin’s oversized and overpowered Chronos line—or Corsair’s recently unveiled Bulldog. 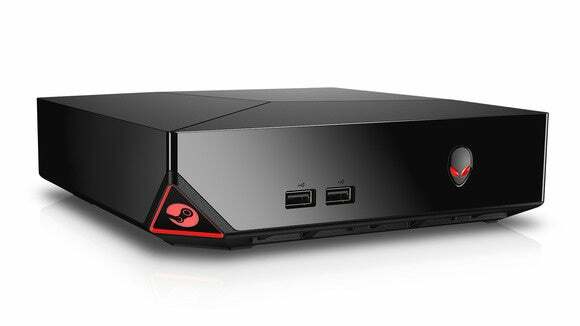 But many of the smaller Steam Machines occupy a strange middle ground between true PC and console. Also available for preorder—Valve’s diminutive, cheap, streaming-only Steam Link. For those who aren’t quite sold on the concept, you can also preorder just the Steam Controller ($50) or the streaming-only Steam Link ($50) from GameStop and get the same benefit—your order should come October 16. The Steam Link is particularly intriguing to me, seeing as it just utilizes Steam’s in-home streaming capabilities from my main gaming machine. However, we’ll have to wait until review time to see whether it encounters the same latency issues as other devices, like the NZXT Doko. So yeah, November 10. That’s the day we can finally stop speculating about how Steam Machines will be received and see for ourselves. Valve’s certainly squandered most of its momentum heading into this launch. What was once a novel concept (living room PCs) is now business as usual for most OEMs, and Windows 10 seems to rectify most of the angst Valve was banking on against Windows 8. Crazy how much difference a year makes. But live or die, Steam Machines are coming this fall. You can literally head to GameStop’s website and preorder today. Congratulations, Valve—Steam Machines are now one modicum more real than the Phantom. For more information on Steam Machines, check out our round-up of all the available models coming this fall, details on the Steam Link, or our hands-on at GDC 2015.